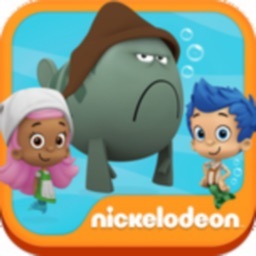 Join the Bubble Guppies on an all new interactive storybook adventure! Molly and Gil are taking their Giggling Goats to a party on the other side of Golden Goat Bridge. But the bridge is guarded by Ye Olde Grumpfish, the grumpiest guy in Guppidom. 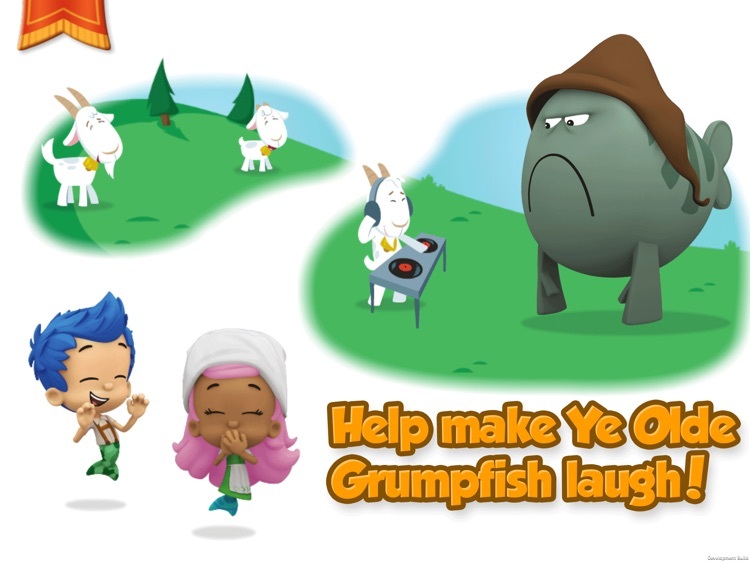 Molly and Gil need your kid’s help to make the Grumpfish giggle so they can get the Giggling Goats across the bridge and to the party! 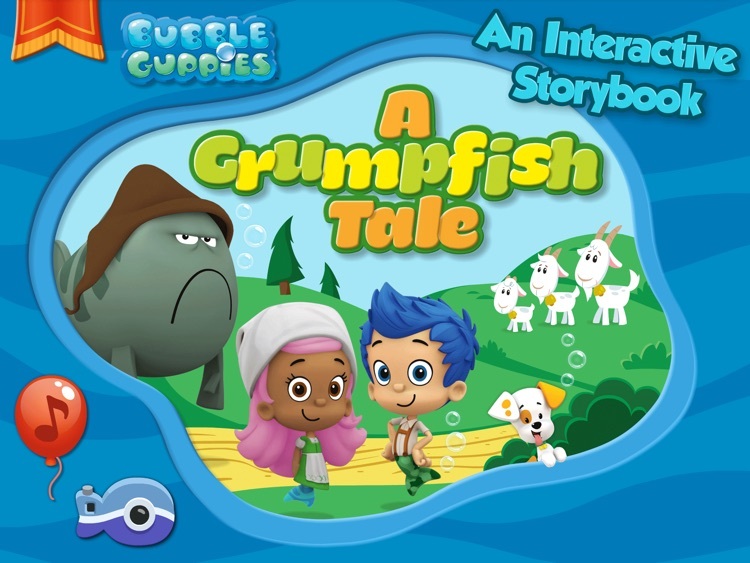 Follow the Bubble Guppies in this interactive storybook adventure! 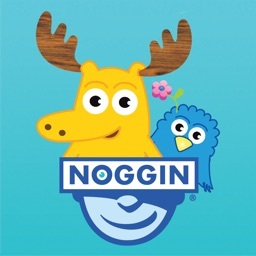 Kids can turn the pages and follow along as the words appear onscreen and are read aloud by the voices of the Bubble Guppies. Using tap interactions with the characters, they’ll help advance the story to find out what happens next in the Bubble Guppies adventure-filled journey. Make silly face art using stickers found in the story! 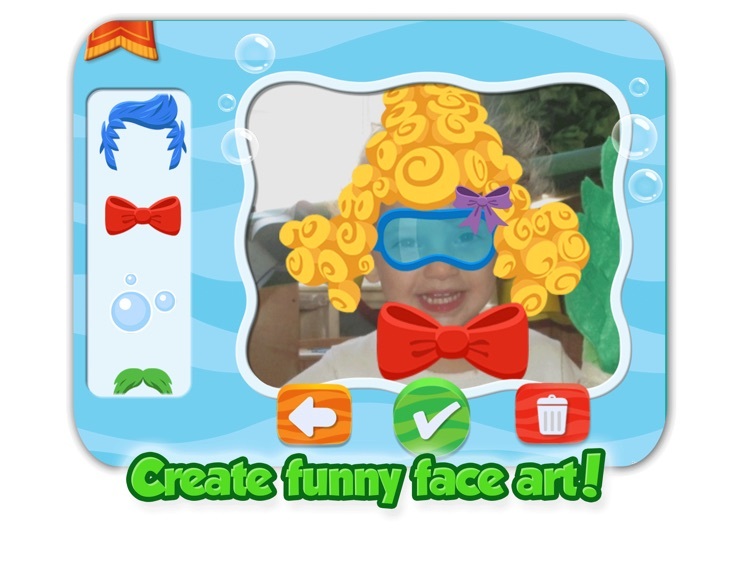 With photos they have taken of themselves, saved pictures or provided Bubble Guppies art, kids can drag silly stickers onto their pictures to create their own fin-tastic art. 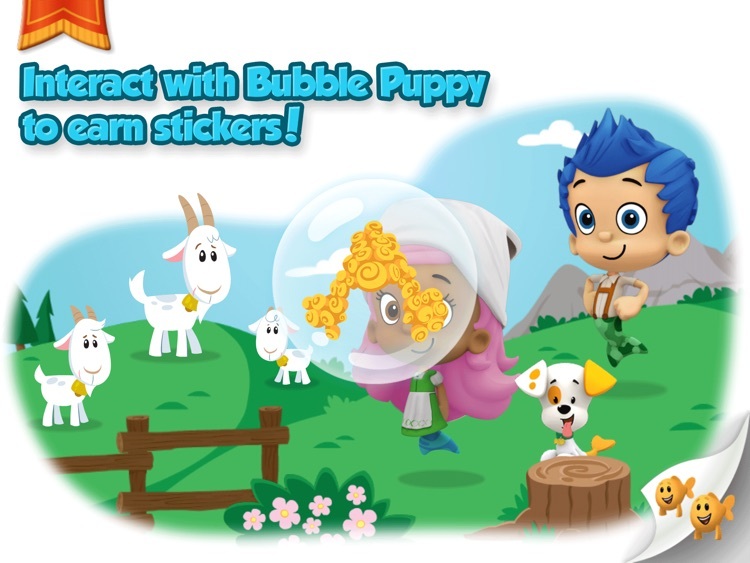 As the story unfolds, they’ll have the chance to collect different stickers for completing activities such as finding Bubble Puppy. The more they read the story the more stickers they’ll accumulate. Kids will enjoy playing this standalone silly face activity again and again after reading the story for the first time. 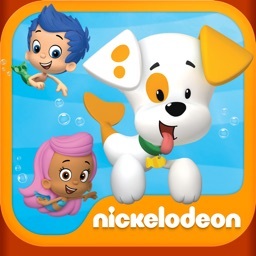 Listen to music and make the Bubble Guppies dance! 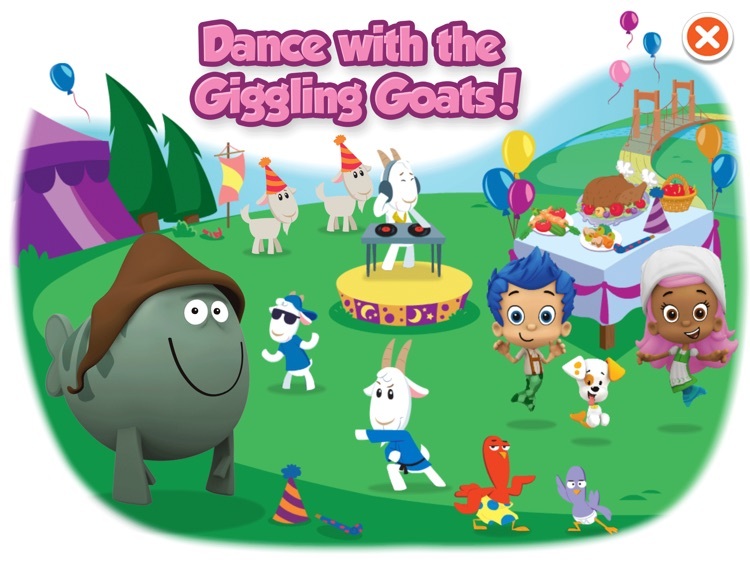 Kids will have fun watching Molly and Gil dance to the music with the Giggling Goats and other friends at this swim-sational party. They’ll use tap interactions to change the songs and see what dance moves Molly and Gil have for each tune. Kids can replay this standalone party activity over and over again after their first read of the story ensuring hours of fun. Engaging Story with Beautiful Art and Sound! 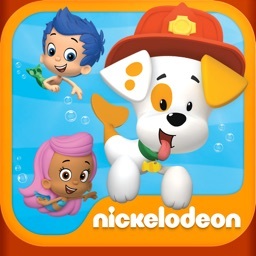 The app features an original Bubble Guppies story, set in a new land with the voices of your kids favorite Bubble Guppies characters! 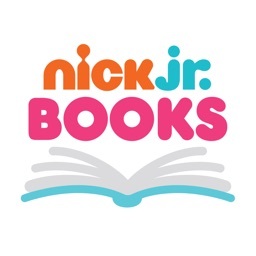 This is the latest app in the series of Nickelodeon Storybook apps, including Dora’s Christmas Carol Adventure, Dora’s Ballet Adventure, Dora’s Enchanted Forest Adventure, Dora and Diego’s Vacation Adventure, Where is Boots and Team Umizoomi Carnival. All available in the App Store!